Man Utd face Young Boys in their Champions League opener on Wednesday, and Jose Mourinho has confirmed two players who will start the game. The Portuguese tactician will be pleased with the reaction from his players in the last two outings, as they’ve bounced back from consecutive defeats to Brighton and Tottenham by collecting six points against Burnley and Watford in the Premier League. He’ll hope that they can take that form into Europe with them in midweek, as they face a tricky trip to Switzerland to take on Young Boys will be out to cause an upset. 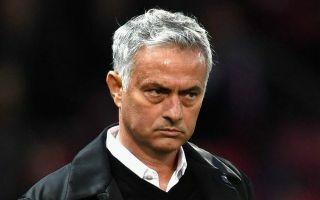 Mourinho has revealed that stalwart Antonio Valencia has been left behind due to the potential problems that playing on an artificial pitch could raise for his knee, and so he will not feature having not been called up to the squad. However, while he’ll be absent, as also seen in the tweets below from reporters who attended the Man Utd coach’s press conference on Tuesday evening, both Luke Shaw and Marcus Rashford are expected to start for the visitors. Shaw picked up a worrying knock on international duty with England earlier this month, but it appears as though he’s ready to make his comeback after missing the win over Watford. Meanwhile, Rashford has been a popular topic of discussion after Mourinho defended his use of the 20-year-old with a statistics-laden rant last week, and so he’ll hope to now take his opportunity to impress.